Menopause is a time of transition – in many women a complex of conflicting emotions, and a shifting picture of physical changes. The medical industry may encourage us to think of our menopause as a disease, but we can also see it – more meaningfully – as a rite of passage marking an important change in our identity and role in the family, and in society. Medicalising of the menopause contributes to the disempowering of older women, persuading us that replacing our diminishing oestrogen and progesterone via HRT is the answer, disguising and suppressing the natural ageing process. I wonder if the ‘disease’ of menopause is thus still a social one: the disempowerment of the older woman. While the signs are we are moving in the right direction, our elders remain largely hidden away, instead of making a valuable contribution to society. Still youth and smooth skin are valued above the wisdom and experience of age. If your menopause, or the approach of it (known as peri-menopause), are proving challenging, homeopathy offers another way of navigating this life stage. It offers both a space to be heard and to explore its sometimes troubling and painful aspects, and a homeopathic remedy which restores your vitality and health. Remedies are individually selected according to each woman’s experience, which may include hot flushes and sweats, insomnia, loss of libido, and mood swings. 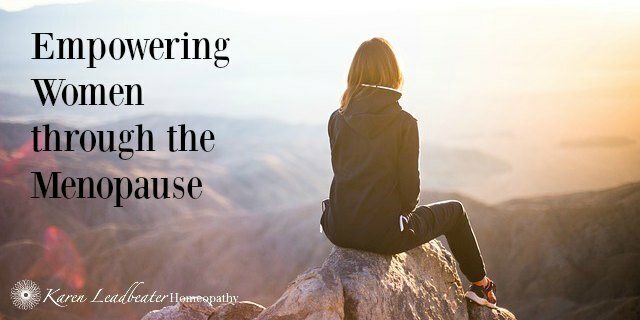 Many women find homeopathy during the menopause to be an empowering and transformative process. Below you will find a brief portrait of some of the plant remedies we use which have an affinity for the menopause. Homeopaths use a wide range of remedies, and the approach is individual to each woman. Senecio aureus: this remedy is made from Golden Groundsel, a plant native to the US which is also known as Life Root. It has a strong affinity for the pelvic organs, and is one of the main remedies for insomnia during menopause. Cimicifuga: this remedy is made from the plant Cimicifuga racemosa, also known as Black Cohosh. It is known for its affinity to mood changes associated with menopause, and is one of the main remedies used for depression and marked mood swings during this time. It is also indicated in rheumatism that comes on during the menopause. Herbalists also use Cimicifuga, and it is recognised to have a balancing effect in low oestrogen situations, especially menopause. Aristolochia clematitis: this remedy is perhaps best known for its use in childbirth (one of its common names is Birthwort), and it also has a more general affinity to the reproductive organs. Its use in the menopause is in responding to depression and in particular extreme mood swings, and it is also indicated in hot flushes, and arthritis (especially of the knees) which dates to the onset of the menopause. It is also one of the remedies which is used to alleviate problems brought on by the use of synthetic hormones, including HRT. Convallaria: this remedy is made from the plant Convallaria majalis, also known as Lily if the Valley. Many of the lily family of homeopathic remedies have a strong affinity to the female reproductive organs, and Convallaria in particular is used when the heart is affected at the menopause, typically with palpitations and feelings of weakness. 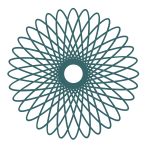 If you would like to discuss working with me on your journey through menopause, please get in touch.